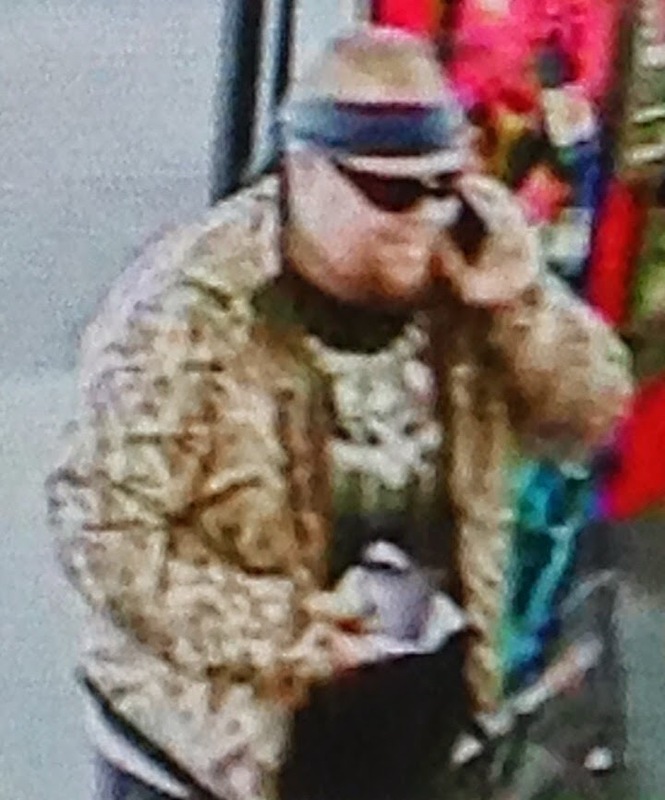 On Friday May 16th, 2014 at approximatley 11:48 Am, a white male in his 30's, wearing a black bandana, sun glasses, a woodland style camo sweat shirt with black t-shirt underneath (w/ design), black 3/4 length cargo pants, dark brown hiking boots, and a piercing below the lower lip, entered the store and gathered some items. The male suspect then approached the cashier, placed the items on the counter along with a hand written note warning her not to scream or she would be harmed. The suspect then brandished a pocket knife and demanded money from the cash register. 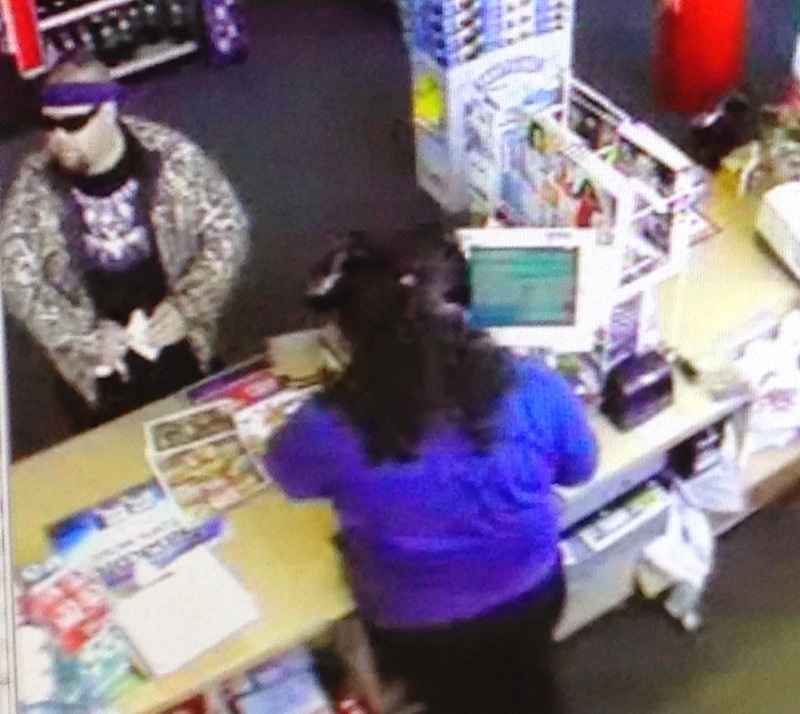 The cashier complied, placing and undisclosed amount of cash in a bag and handed it to the suspect. The suspect then fled the store on foot. Members of the Absecon Police Department secured the scene and immediately set up a perimeter. An Egg Harbor Twp. K-9 unit responded to the scene to assist with the investigation. The K-9 track was unsuccessful, indicating the suspect may have entered a vehicle and fled the area. Members of the Pleasantville Police department also assisted. The Case is being investigated by Det. Leigh Gadd and Patrolman April Kolakowski. Video surveillance of the robbery was obtained and coverage will be released to the media. Since the thief is on his cell phone in that picture, it should be easy to determine what calls were handled by the local tower during that exact hour and minute of the day. His telephone number will provide his identity.